One of the best upgrades to help Amazon sellers is the Amazon Brand Registry. The brand registry not only protects brands but opens up additional marketing opportunities as well. Amazon has made it very easy for small and large e-commerce brands to start selling direct to consumers. Building an e-commerce site and getting traffic to grow sales is a daunting task. It is easier and faster to create a store on the Amazon marketplace and take advantage of the 6.5 million daily users. 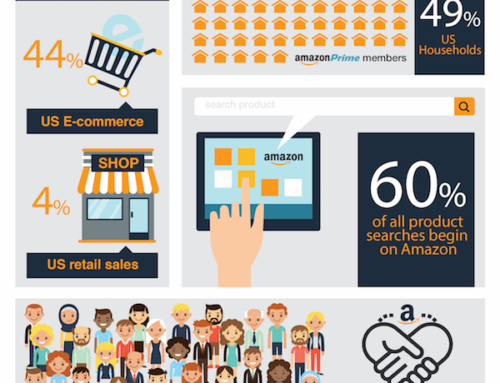 Amazon has become one of the biggest platforms for helping sellers expand their outreach. One of the reasons Amazon is the number one online marketplace is because of the way it adapts to the customer. They are a customer centric company who listens to their customers. Third party sellers are also Amazons customers. The brand registry is one way Amazon has shown its ability to adapt to meet its customers needs. When the brand owners faced the challenge of competing with sellers of counterfeit products or the actual product at a lower price, Amazon rose up to defend their rights. This is what led to the development of the Amazon Brand Registry, a feature that protects sellers with registered trademarks. The Amazon Brand Registry allows brand owners to register their brand with Amazon. Thus providing the seller control over how the brand is presented on the marketplace. Brand owners can control the product page description, bullet points, images and title on when there are multiple sellers. In contrast to an unregistered brand where any seller can make changes. The brand registry is essential for self managed brands on Seller Central. Brands using Vendor Central & Vendor Express enjoy a higher control over products associated with their trademarks as well. There are many advantages that the brand registry service holds for any given brand. It is a service that benefits private label and brand manufacturers. Registering as a brand on Amazon allows you to quickly resolve conflicts in the case of resellers selling counterfeits of your products. Amazon is an open marketplace so you cannot stop others from selling your brand. However, the brand owner has a clear advantage in the Amazon listings. Several marketing features become available to a brand once they are approved in the brand registry. Enhanced Brand Content provides FBA sellers the opportunity to create better and more comprehensive product pages. These pages are similar to the A+ pages only available on Vendor Central. The additional images and content give the customer more reasons information to make a purchase decision. This additional information provides a clear advantage over sellers who are not registered or using enhanced content. 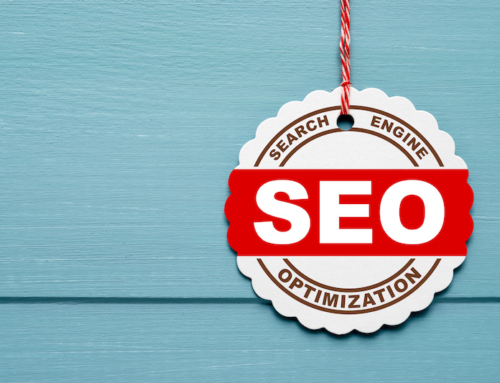 It is also an important advantage for Amazon SEO. Brand Registry sellers can build a multi-page storefront for their brand. This powerful feature enables a brand to build a page to enhance their brand story with video, more content and additional images. Your brand also has access to the Early Reviewer Program. For new products, you can get up to five reviews from verified Amazon reviewers. Another feature known as Brand-gating is rumored to be on the horizon. This feature would allow registered brands to control who sells their products, thereby discouraging low-quality vendors. Additional security measures prevent sellers from using your page for their promotion. These preventive measures also protect the content uploaded to your brand page. There are various other benefits of opting for Amazon Brand Registry. Faster approval for listing products in gated categories needing approval. Additionally, you control your product pages and the information on those pages. Registering provides a distinct advantage over other sellers with similar products, re-sellers, and vendors who are selling counterfeit products. As mentioned above, Amazon Brand Registry is not for everyone. It quite clearly sets the distinction between brands and sellers who do not have their own brand. A trademark is crucial to the brand registry process. Trademarks can considerably streamline the process and have benefits that go beyond selling on Amazon. Amazon verifies this trademark by using the USPTO or other trademark registration sources. A confirmation code is sent to the email address of whoever registered your brand. Make sure you inform whoever registered your brand to take this code seriously. You must have a working website to be able to register for this service. Remember, no business is too small for a website. But in case you are on a budget, a one-pager should suffice. You can choose not to advertise or promote your business website to customers. But it is an essential part of registering for Amazon Brand Registry. It is a good idea to have a business email address to correspond with your website. It adds to the authenticity of the business and is more professional. Good images play an essential role in helping you make the most out of your registry. Professionally taken photos showing your package with your logo and trademark clearly visible are required. Registration is an online process. The application form is available at Amazon Brand Registry Page. It needs to be filled and submitted for approval by Amazon’s moderators. Amazon may take around 2-3 weeks for approving your application and allocating a Global Catalog Identifier (GCID). This number is relevant to your products, not their listing. A successful brand is one which actively monitors and manages its sales channels to ensure the highest quality customer services. Registering your brand, as a seller delivers peace of mind. It also provides protection against vendors trying to sell counterfeit copies of your items. But the most important aspects are the enhanced brand and product information that becomes available. These additional products allow you to gain an edge over resellers and build a more sustainable business.